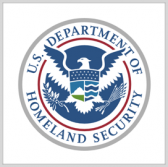 The Department of Homeland Security has sought information on potential contractors that can provide the Immigration and Customs Enforcement with an enterprise training management platform. A FedBizOpps notice posted Tuesday says ICE wants a training management system designed to handle various training formats, course curriculums, accreditation requirements, evaluation, analytical and reporting tools in support of the agency’s more than 25K employees and contractors. The proposed platform should interface with ICE’s Training Reporting Repository and meet the requirements of the agency’s commercial-off-the-shelf application, Training Management Support System. The training management system should be a software-as-a-service, web-based platform hosted in a cloud environment certified under the Federal Risk and Authorization Management Program. ICE seeks potential contractors that can provide software licenses, operations and maintenance support; migrate legacy system records and data into the proposed TMS; and perform product customization, according to the statement of work. The agency also included in the request for information an optional contract line item number for the acquisition of a learning management system designed to oversee registrations, online course delivery, training monitoring and reporting functions. Responses to the RFI are due Sept. 14, according to the notice.